TORONTO — After weeks of speculation, free agency is officially open. As the market takes shape, CFL.ca has you covered with all the latest chatter and rumours regarding free agency from CFL.ca writers, players and FA insiders. 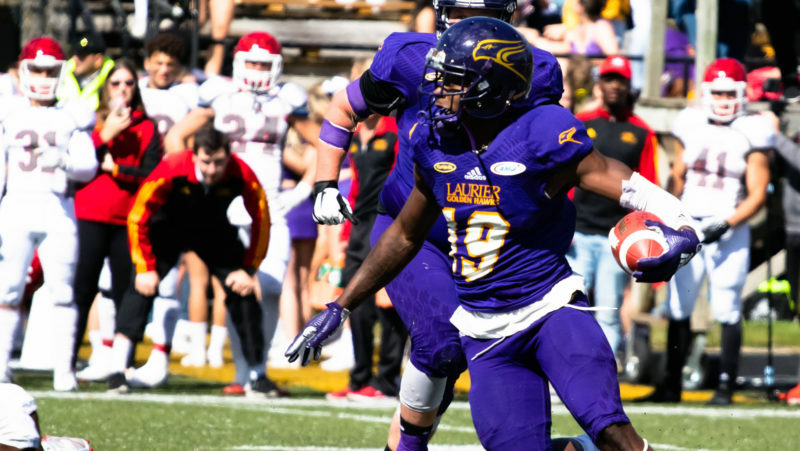 Click here to view the full list of pending free agents on the CFL.ca Free Agent Tracker, as well as CFL.ca’s top 30 pending free agents. :: Walker leaning towards Argos? : Justin Dunk of 3 Down Nation speculates that Walker’s decision to put other visits around the league on hold indicates he’s leaning towards signing with Toronto. :: Popp says Argos could pursue Travis Lulay: Argos GM Jim Popp has named James Franklin the team’s starting quarterback, but has said he could look at a veteran to come in and help back up, specifically mentioning Travis Lulay. :: Argos could be in on Derel Walker: Derel Walker seems to be the odd man out in Edmonton with all their signings today but could re-unite with James Franklin in Toronto according to Dave Campbell. :: Posey headed back East, signs with Als: After a brief stint with the BC Lions, DeVier Posey is headed back East, signing with the Montreal Alouettes, according to Dave Naylor. :: Three teams in on Bo Sweepstakes? : According to Justin Dunk and Dave Naylor, the Stamps, Argos and Riders are all in on trying to get the services of MOP Bo Levi Mitchell. Mitchell remains the only top tier quarterback on the market with Trevor Harris and Mike Reilly signed in Edmonton and BC. :: Ja’Gared Davis headed to Hamilton to meet with Ticats: Former Stampeders rush end Ja’Gared Davis is rumoured to be flying to Hamilton to meet with the Ticats brass with the intention of inking a deal, according to Justin Dunk. 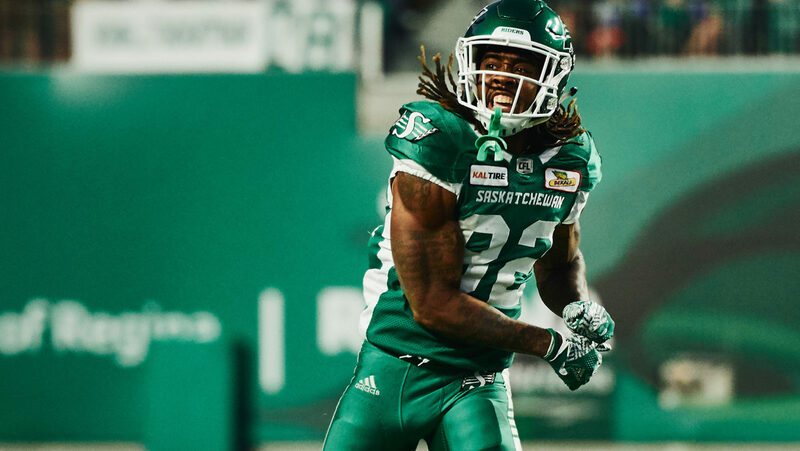 :: Lions adding close to signing Grymes; Anthony Orange to the Esks: TSN’s Farhan Lalji is reporting that a pair of all-star DBs are on the move. BC Lions are close to signing DB Aaron Grymes and the Esks are looking to get back the services of Anthony Orange. :: SirV Headed to Edmonton: According to Justin Dunk, international offensive tackle SirVincent Rogers has inked a deal with the Edmonton Eskimos, leaving Ottawa. :: Spencer Wilson headed to Als: According to Herb Zurkowski, the Alouettes have signed Canadian offensive lineman Spencer Wilson. 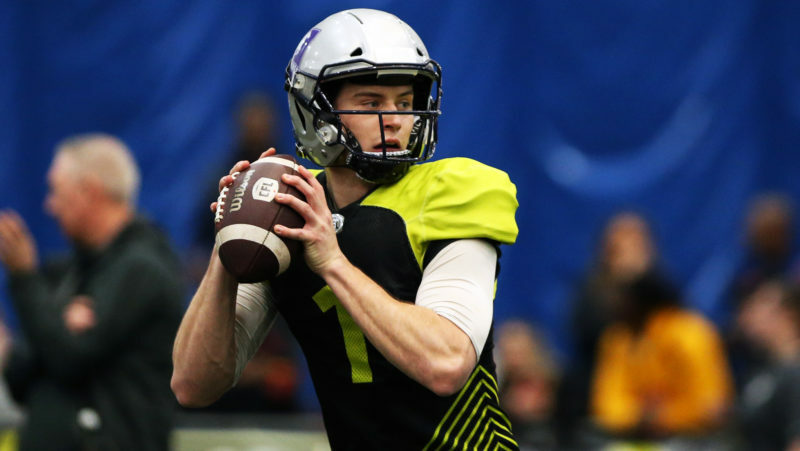 :: Lions looking to stock up: Ryan Rishaug, who broke the Mike Reilly signing, says that now that they have their quarterback in place, they could be after some big names to build around him. Hearing Sukh Chung to BC is likely to get done. Duron Carter as well as has been reported. Aaron Grimes may be heading to BC as well. Hervey as expected being aggressive in making improvements today beyond Reilly. :: Key REDBLACKS heading West? : Jeff Hamilton of the Winnipeg Free Press is reporting that Trevor Harris, Greg Ellingson and SirVincent Rogers could all be headed to Edmonton. Sounding more and more like QB Trevor Harris is headed west to Edmonton. Also hearing the Eskimos are among the favourites to get receiver Greg Ellingson and OL Sir Vincent Rogers. :: Micah Johnson could look east: According to Dunk, Micah Johnson may be looking to move closer to home, making Toronto, Ottawa and Montreal possible landing spots. :: Micah Johnson free agent bound? : According to John Hufnagel, Micah Johnson is expected to become a free agent, while offensive linemen Spencer Wilson and Randy Richards have not received offers. :: Stamps ink Turner, Mrabure: Stamps GM John Hufnagel has told 770 CHQR that the team has signed Canadian defensive tackles Junior Turner and Ese Mrabure to contract extensions. :: Breaux, Ticats close to new deal: Just one day before the start of free agency, TSN’s Dave Naylor is reporting that the Tiger-Cats and Delvin Breaux are close to agreeing to a deal to keep the shutdown cornerback in Hamilton. :: Reilly granted permission to speak to BC? : According to Justin Dunk of 3 Down Nation, the Eskimos have granted Mike Reilly permission to speak to the BC Lions before the start of free agency on Feb. 12.
:: Santos-Knox, Bombers aren’t close on deal: Jeff Hamilton of the Winnipeg Free Press is reporting that the Bombers and pending free agent linebacker Jovan Santos-Knox are ‘a long way apart’ on a contract extension. GM Kyle Walters on LB Jovan Santos-Knox: "We have talked numbers but Jovan’s group and us are a long way apart from getting anything done.” Walters added JSN had a breakout year and doesn't blame him for wanting to capitalize on that. :: Breaux checking NFL options? : According to Frank Zicarelli of the Toronto Sun, one of the top pending free agents in Delvin Breaux is still looking for opportunities south of the border, where he spent two seasons with the New Orleans Saints. :: Riders to check in with Collaros: Riders head coach Craig Dickenson told CHQR 770‘s Jock Wilson that he will ‘visit with Zach Collaros’ as the team considers its options at quarterback in 2019. Dickenson said he wants to consider the quarterbacks on the roster before looking elsewhere (transcription courtesy of Rod Pedersen). 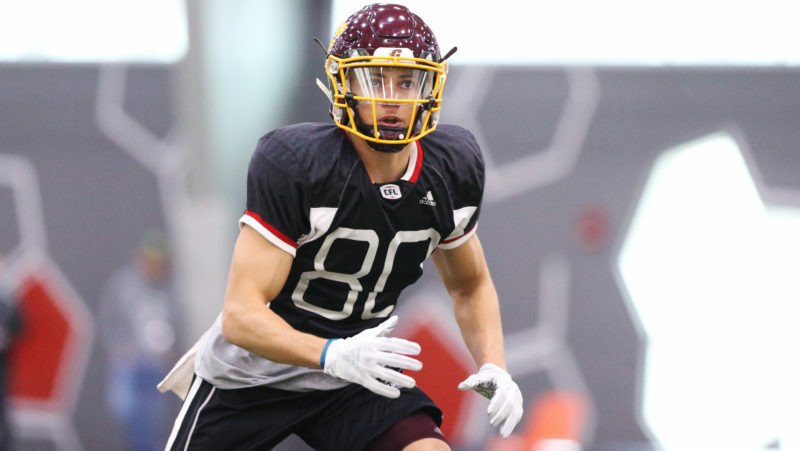 :: Brouillette calling it a career: It appears pending free agent Marc Olivier Brouillette has retired from the CFL, the veteran safety has indicated on his Twitter account. :: Argos talking to Carter, Ball and Ray: According to the Toronto Sun‘s Frank Zicarelli, Argos GM Jim Popp says the team has had ongoing dialogue with three of its high-profile free agents. While Ricky Ray’s playing future remains uncertain, the Argos have talked to Duron Carter and Marcus Ball about the possibility of a contract extension. 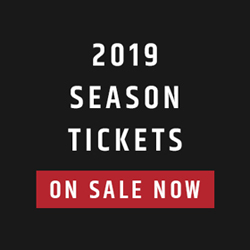 :: Top REDBLACKS poised to hit free agency: As Tim Baines of the Ottawa Citizen writes, REDBLACKS GM Marcel Desjardins says he’s not optimistic he’ll be able to extend the team’s top pending free agents before Feb. 12 — though he’s not ruling anything out.